The default media player in Windows is not able to play all music and audio file types . You might have noticed this problem while playing DVD video files in freshly installed Windows XP system . 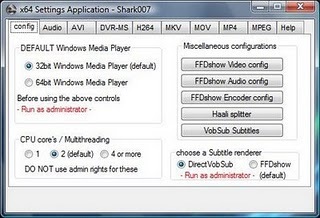 Similarly we have DivX ,Xvid ,3GP (mobile video) ,AAC and more other popular formats which are not playable in Windows . 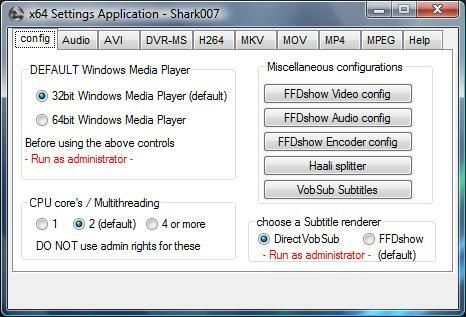 A codec pack is collection of plugins ,encoders and decoders that will assist the default media player to play these unknown media formats . Win7codec is similar specially built codec pack for Microsoft’s new OS Windows 7 . Windows 7 uses Windows media player 12 . We have professional codec packs like K-Lite codec pack compatible with windows media player 12 . But they have unnecessary codecs that makes its very large to download. Win7codec contains only the most required codec files and it will play almost all possible media files with this package . Win7codec is released by the same team who have released Windows Vista codecs . Download Win7codec Windows 7 codec pack here. Installation of Win7codec will remove all your existing codec packages and install fresh codecs .